Tea Collection of San Francisco, Calif., is recalling about 3,900 children’s rompers sold in the U.S. and Canada. The Vermillion Painted OPP Floral Romper is red with white floral print, with style number 7F32500. 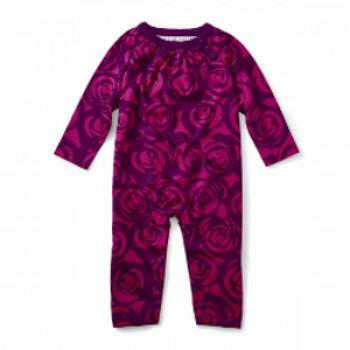 The Shocking Fuchsia Rose Romper is maroon with a pink floral print, with style number 7F32504. The style number is printed on a tag sewn on the inside of the garment located in the waist area. The rompers, manufactured in Indonesia, were sold at Nordstrom, Von Maur and various boutique stores nationwide and online at teacollection.com from July 2017, through December 2017, for about $27. Consumers should immediately take the recalled rompers away from children and contact Tea Collection for a full refund. Consumers may contact the company toll-free at 866-374-8747 from 6 a.m. to 6 p.m. (PT) Monday through Friday, by email service@teacollection.com or online at www.teacollection.com and click on the recall tab at the bottom of the page for more information.